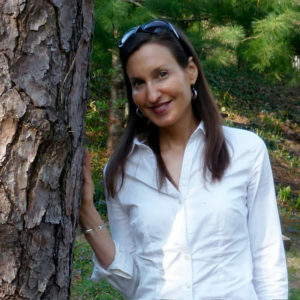 Dr. Melanie Joy didn’t become a vegan until her 20s. But during her psychological studies at Harvard and Saybrook University, she pondered what it is that makes humans think it’s normal to kill and/or eat animal products. And why it is that so many vegans and vegetarians have a tough time holding onto relationships with nonvegans after their perspective on animal agriculture changes. In her third book, which releases the last week of November, she tackles these topics and more. “Every day we engage in a behavior that requires us to distort our thoughts, numb our feelings, and act against our core values,” Joy, a Saybrook alumna, said during a TEDx Talk she gave in February 2015. That “integral, human behavior” Joy is speaking of is eating and wearing animal products. 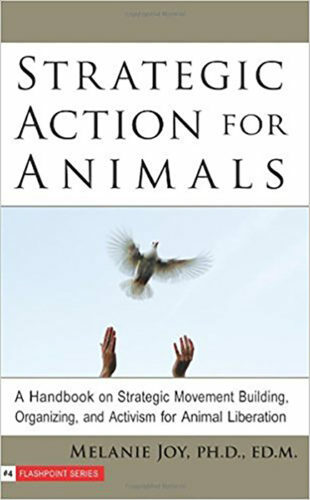 The author of three books—Strategic Action for Animals: A Handbook on Strategic Movement Building, Organizing, and Activism for Animal Liberation and Why We Love Dogs, Eat Pigs, and Wear Cows: An Introduction to Carnism, and a November 2017 release Beyond Beliefs: A Guide to Improving Relationships and Communication for Vegans, Vegetarians, and Meat Eaters—has traveled to 39 countries on six continents to speak about this topic: carnism. 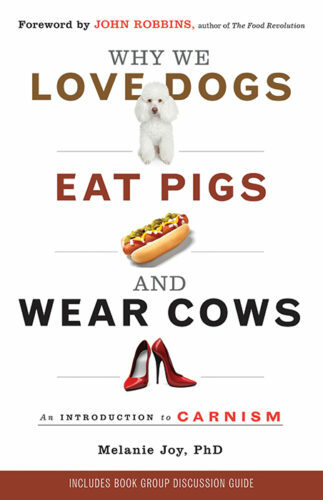 Her second book Why We Love Dogs, Eat Pigs, and Wear Cows emerged from her Ph.D. dissertation in psychology. Joy became a vegetarian at the age of 23 and a vegan a few years later. In her recent TEDx Talk in 2015 and at speaking events, she’s received “a tremendous positive response” via emails and social media comments regarding the topic. Through one of Beyond Carnism’s programs, Center for Effective Vegan Advocacy, people can attend trainings and workshops to learn more about the nonprofit and effective communication for animal activism. However, Joy is aware that not everybody may be as open to hearing about animal agriculture and carnism, specifically when it comes to seeing graphic imagery. “It is important for people to be aware of what’s happening to animals,” Joy says. “And it’s important to share graphic material. However, how this material is shared matters very much, and so there are certain situations and events in which it would be less appropriate to show it. If the event was organized as kind of a get-together where people are casually eating and talking about veganism, that may not be the place to do so. And if that happens, the larger goal to educate attendees about carnism may fall by the wayside. On Joy’s international tour, she also takes into account cultural differences when presenting her messages on carnism. 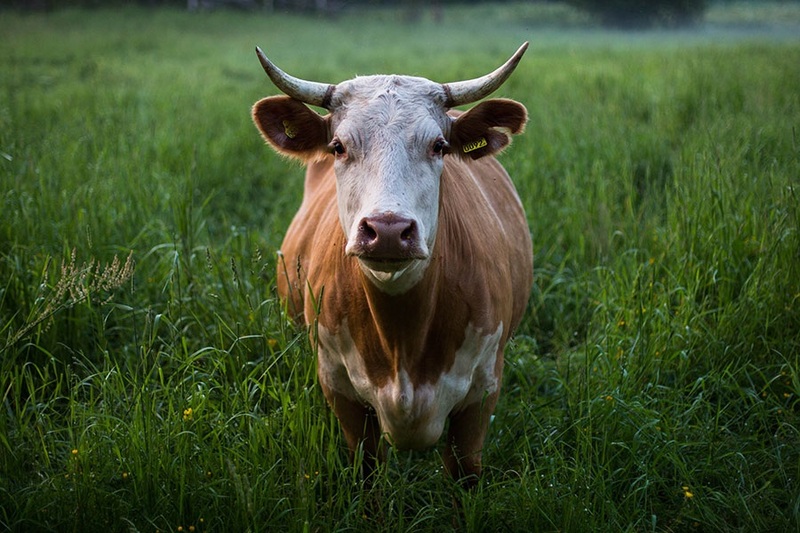 When her second book Why We Love Dogs, Eat Pigs, and Wear Cows: An Introduction to Carnism” released in Hebrew, it was well-received by the Israeli public. But because Israeli people as a whole do not eat pork, the title was tweaked to The Cow in the Room. In addition to violence against animals, Joy’s studies at Saybrook explored why people commit violence overall, including person to person. In Joy’s new book though, her goal is to help improve the relationships vegans and vegetarians have with nonvegans. Joy, who has resided in Germany since 2014, will have a book launch in Los Angeles on August 8. For more information about Beyond Carnism or her other books, visit her website. Interested in exploring degree programs available at Saybrook University? Fill out the form below to request more information.